Our conscious experience is so fundamental to our existence, it IS our existence, that there are certain amazing aspects of it that we tend to overlook as we go through our lives. Because we experience the world through our conscious experience, we’re constitutionally unable to experience the construction of that process. In an abstract sense this isn’t news to anybody. We’re not aware of what our individual cells are up to at any moment. We’re only vaguely aware of the existence of and functioning of certain organs. We can’t feel our neurons firing. And the many clinical tales of people with neurological disorders or brain damage who have vastly altered conscious experience as a result are ever present reminders of the constructed nature of our conscious experience. But rather than talk about the fascinating quirks that occur when things go wrong, today I want to talk about some stunning features of the basics of what we take for granted. You wake up, you open your eyes, and you see the world. This is an illusion. You have no direct access to the outside world. Rather, your body is constantly being bombarded with signals from the outside world. Your eyes happen to be able to accept one type of signal and convert it into electrical impulses in the brain. Your ears are able to similarly convert another type of signal into electrical impulses. Same with your nose. You don’t experience light or sound directly at all. And even when light and sound have been converted to those electrical signals in your brain, it is not those signals you experience either. Those signals bounce around and split off and integrate with other areas of the brain. They are taken apart and analyzed, calculations are run. Results are sent to other areas. Far downstream from all this, after many steps, your brain takes all this information and combines it into your experience of the world. This experience isn’t reality though. This experience is a recreation, a simulation, of what exists in the outside world. For that matter, it might not even be an accurate simulation. What you experience is the brain’s construction of what it thinks is out there in the world, a representation it has made of the world. What’s amazing is that you don’t experience this representation as a representation, you experience it as reality…directly. We come across the truth of this all the time in perceptual illusions. The brain is constantly making inferences about how the world works, and adjusts your perception of color based on cues like shadow. It will interpret certain patterns as moving where no movement exists. 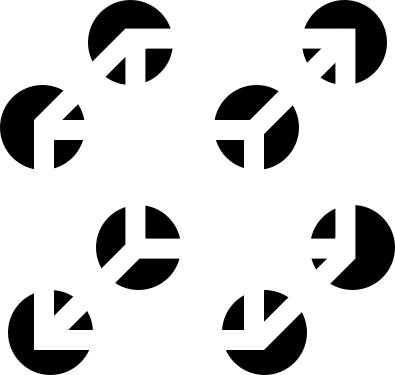 It will create an object out of the negative space in an assortment of random objects. It will interpret the same set of random objects as one cohesive object with the careful removal of some borders. Here’s an interesting counter intuitive fact that stems from this. When you direct your attention towards a feature of the world. Text on a page, words someone is saying, a visual feature of an object in front of you, it feels like you’re directing some sort of metaphorical spotlight on an aspect of the world. But you don’t interact with the world this way. Whether you pay attention or not, the signals from the outside world that bombard your body are unchanging. A light wave is a light wave is a light wave. Sound is sound. What changes when you pay attention is not some sort of interaction with the outside world, but a completely internal process. You don’t actually “listen harder”. You don’t “look closer”. You don’t pay closer attention to anything outside your body. What changes is the pointing of a spotlight from one part of your internal simulation to another. All your’re really doing is paying closer attention to some aspect of yourself. We live in a Matrix of our own construction every moment of our lives. The representational nature of our conscious experience has some further astounding implications. Our experience of the world is permeated by an ever present now. Each moment of your life is experienced as if it’s happening right now. There are two reasons why we shouldn’t take this in stride. Reason number one, what you experience as “now” is actually not now, but the immediate past. It takes time for a signal to reach you from its source. It takes time for this signal to be converted into electrical impulses. It takes time for these impulses to travel along their pathways. And it takes time for the brain to analyze these signals and convert them into an experienced simulation. You experience the world on a time delay. You think you’re living in the now, but this is just a trick of consciousness. Reason number two, the now needs to be flagged as happening now, or the brain won’t know it. What comes along with the brain creating simulations of features in the world, is that these simulations don’t necessarily have to be tied to any particular time. These days we understand that memory isn’t a record stored in a filing cabinet, that when we remember something we activate the same patterns of neuronal firing as we do when we experience it. We day dream all the time but don’t believe the day dream is actually happening. Why not? What is a dream but a hallucination we think is real? Experiencing the now doesn’t just happen, it needs to be made. 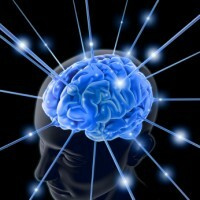 The brain has to have some way of flagging certain processes as “happening now” or you wouldn’t experience them as now. I like the thrust of your argument, but I dislike the support. To listen harder is to devote more neurons to acoustic processing. I do, in fact, look closer. I literally move my head in. My choice to shift my attention does alter my relationship with my environment. I believe you make the same kind of mistake with the memory issue. The information and tag of ‘now’ does need to be constructed. However, the ‘now’ is still real. BIV is essentially true. However, as it happens, almost all the conclusions of naive realism are also true. The matrix decided to simulate actual reality. The tag ‘now’ got created because there is a real difference between past events, present events, and future events. If there weren’t, the brain would be able to ignore the distinction. I actually can’t change past events, and I have to wait before I can change future events. Perception is symmetric – past events can’t change me (be perceived) more than they already have, and future events cannot change me until they become present. Also, I don’t think memories are experiences because they’re not vivid and appear in a different spot. My dreams appear in the right spot but have a characteristic dreamlike emotional atmosphere and lack peripheral vision. This is a fair point. In some of my other posts I discuss the important role interaction plays in generating our conscious experience. Perception is not a static process of interpreting signals that reach the brain, it is an active interactive process that involves the interaction of the entire body with the outside world, and is a point that philosophers and neuroscientists often ignore. So to a certain degree, I agree with you. Though I don’t think it changes the essential nature of my argument. You can listen “more closely” without moving at all. It might not seem natural to do so, but it’s possible. No, it doesn’t change the essential nature of your argument. I may be able to listen more closely without moving my head, but I can’t listen more closely without moving my brain, so to speak.